Celebrate with us as we own a 100 years of Child care. (November 2018 to November 2019). We invite you to join us on this journey to be a part of the Epworth Tribe. Epworth’s biggest strength over the 100 years of our existence rests in its people. The staff that have carried the vision for children and their families through the decades. It is the staff that are the vehicles of change their love, persistence, consistency and their rules are what create change and Hope for children. We don’t win all the battles but as a team we never give up. We champion our children and we support each other. When one staff member is weak another is strong it’s part of what makes us work as a village and as the Epworth tribe. We come together in our diversity, from different backgrounds, cultures and families with our own trials and challenges but we have a common goal and it unifies us into the Epworth tribe. We have a vision to create a safe place for children to heal and grow and our driving force for each child is to Ignite Hope for a brighter future. 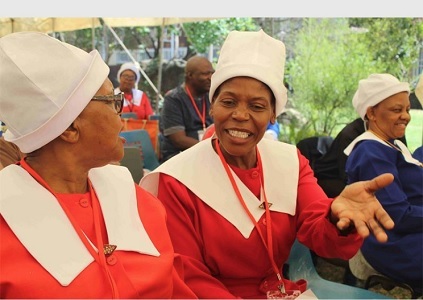 Epworth Children’s Village recently closed the Methodist Church’s Mission Week off on a high note and begun their centenary celebrations in the same breath.